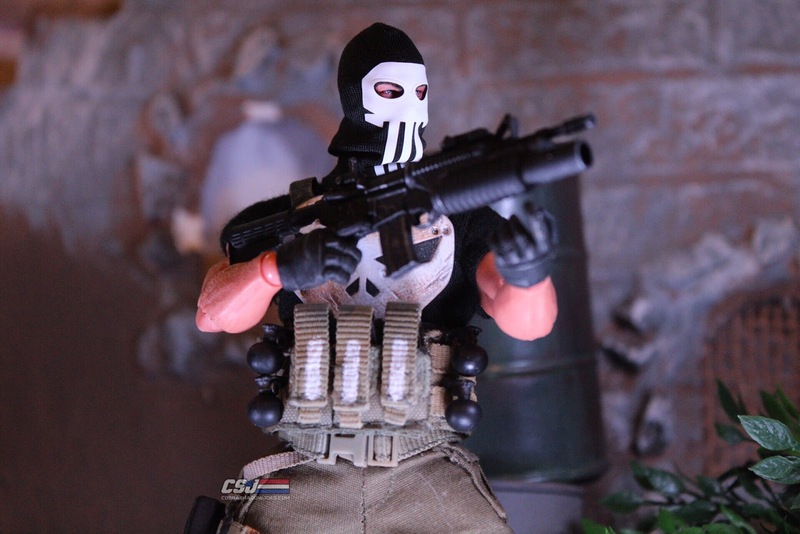 Drone has really been taking his work to the next level with the recent head sculpts he has produced. 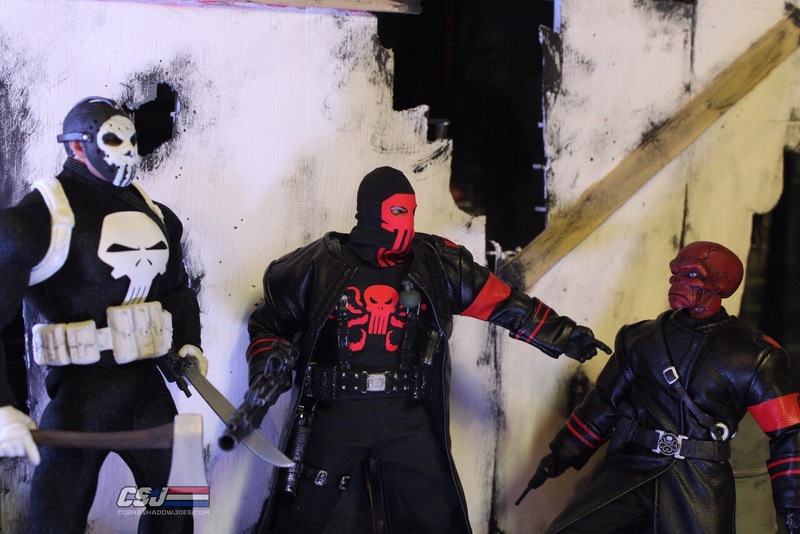 All three are equally impressive and highly detailed sculpts that are on par with the quality of Mezco's products. 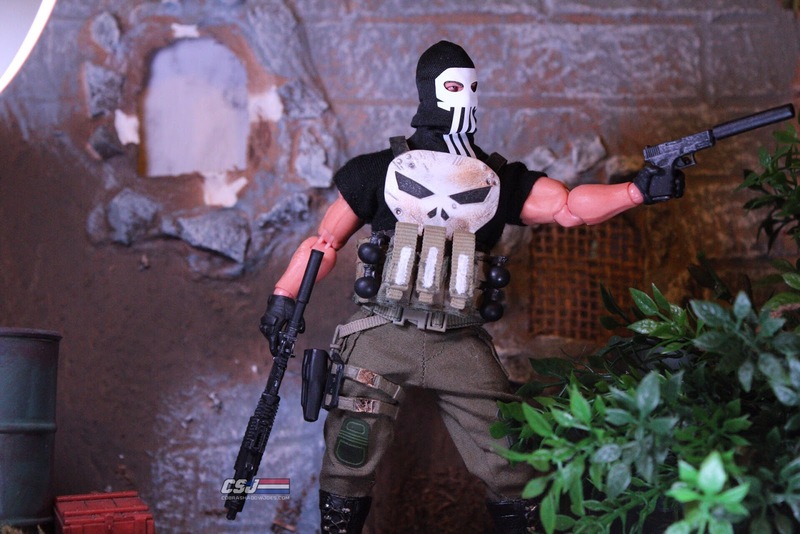 The baklava masks are a huge upgrade from his first release which was very well done so that is saying a lot! 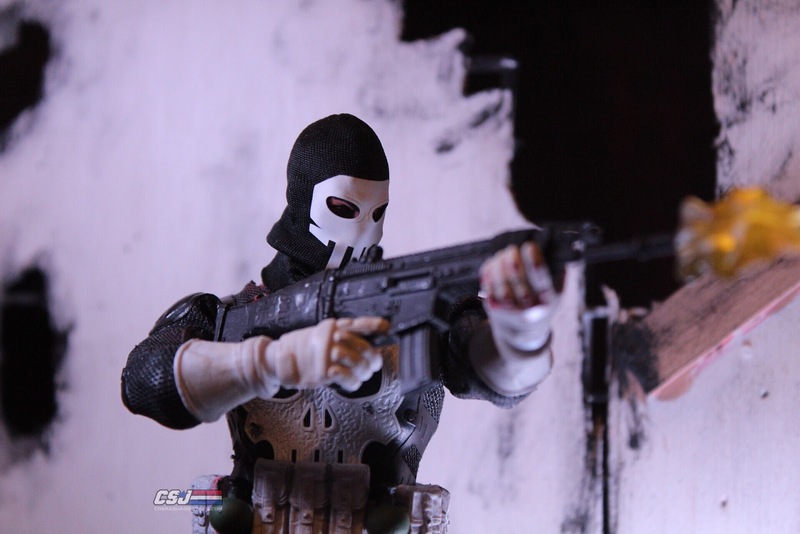 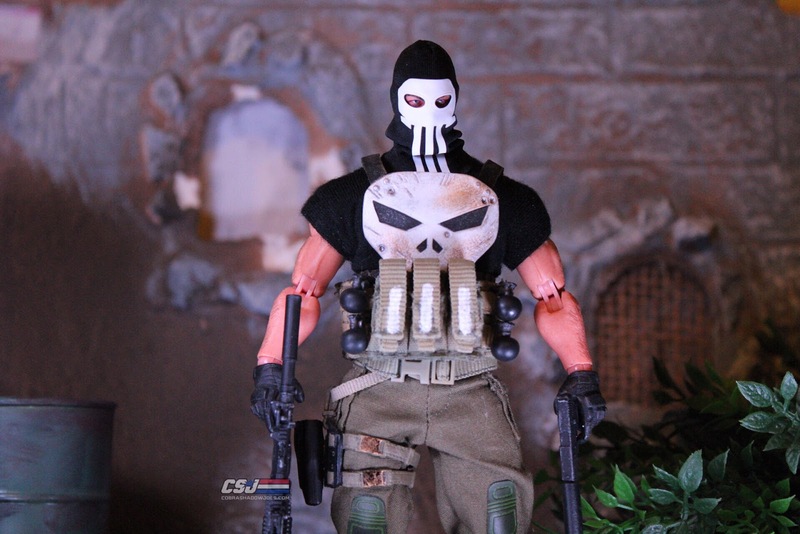 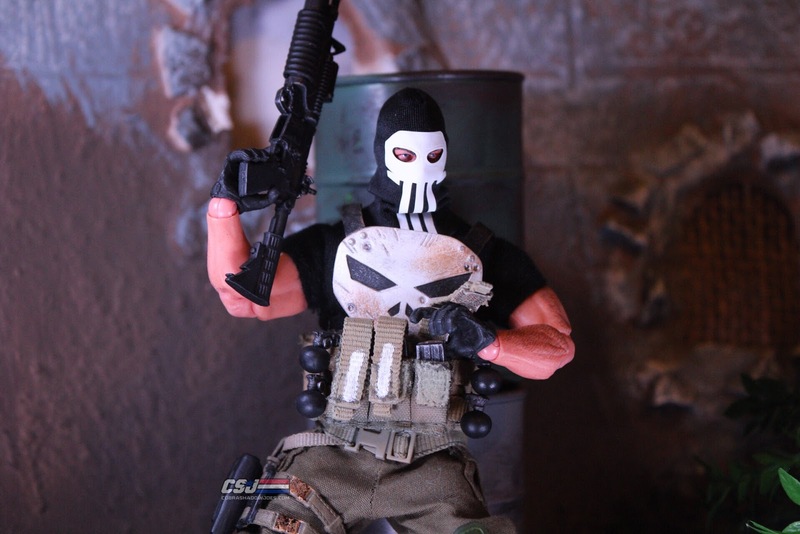 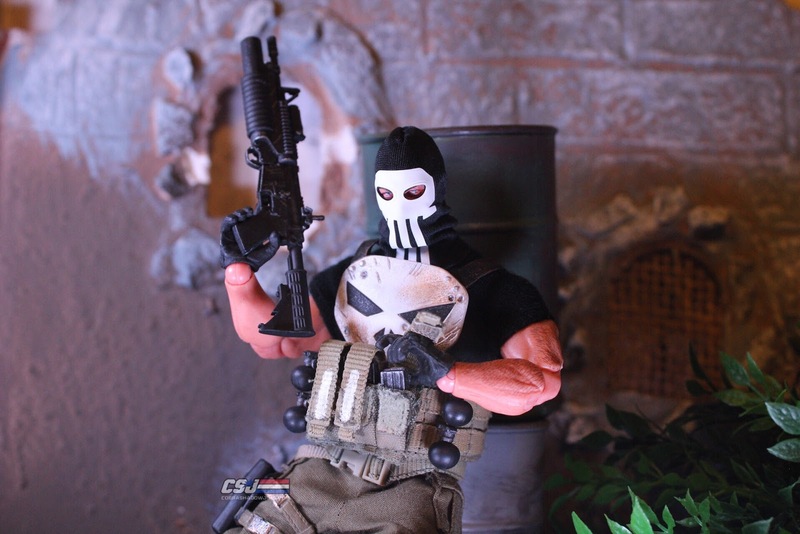 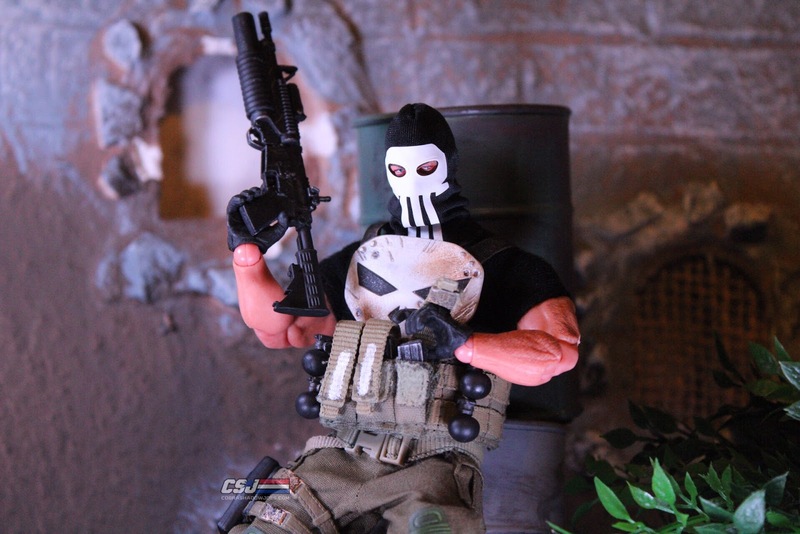 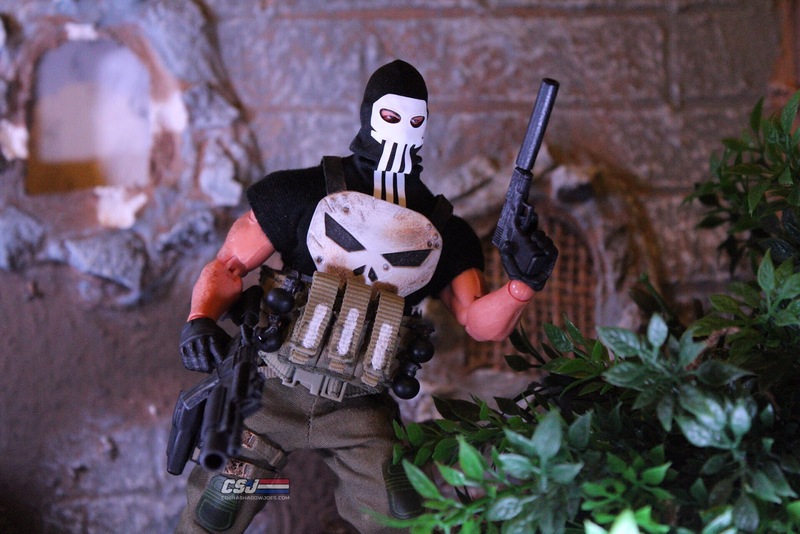 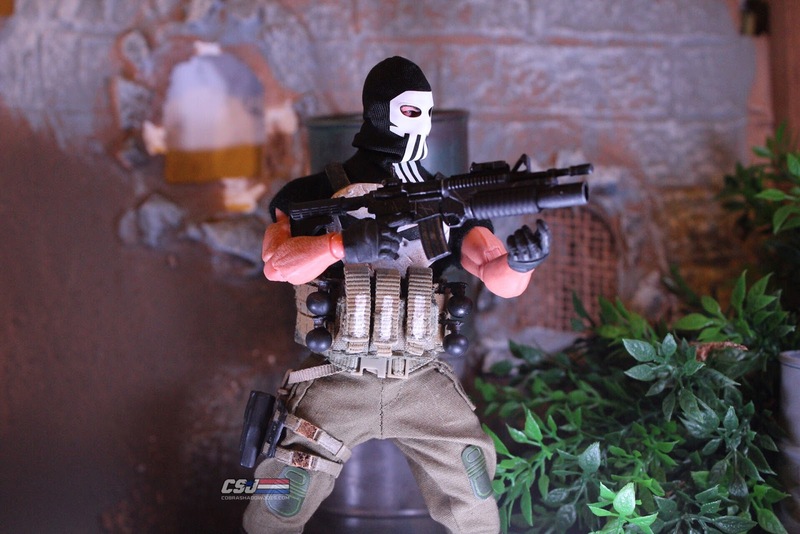 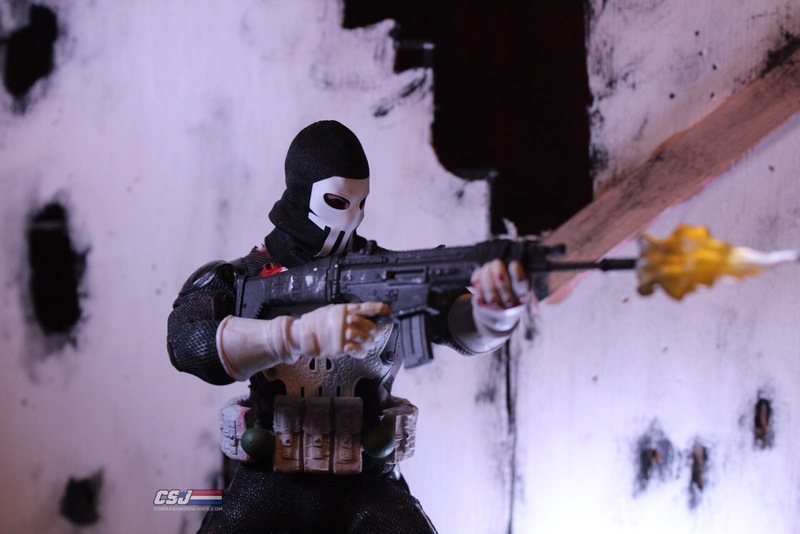 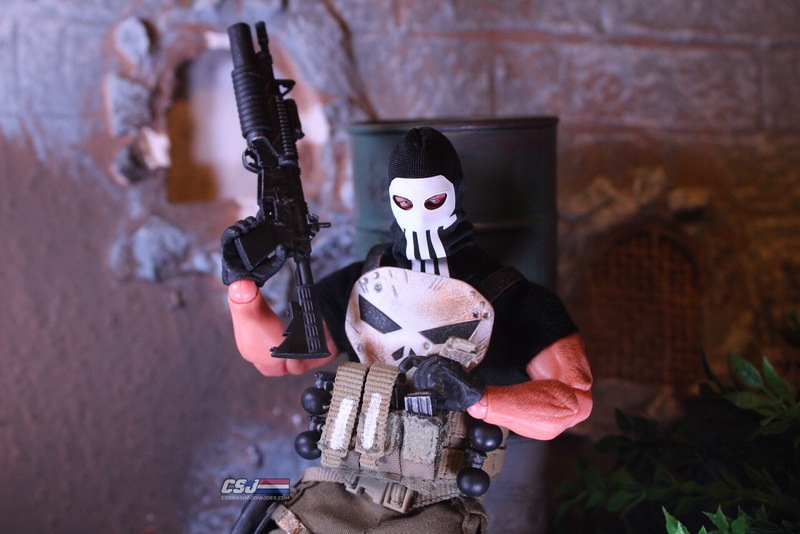 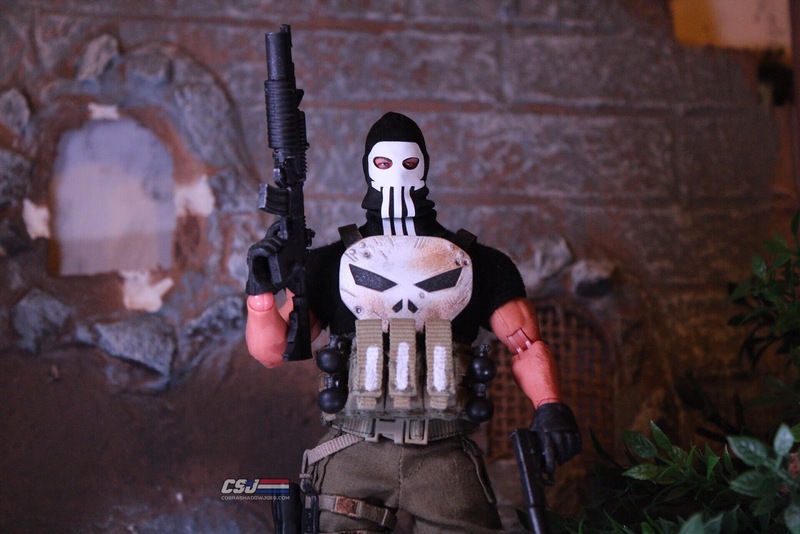 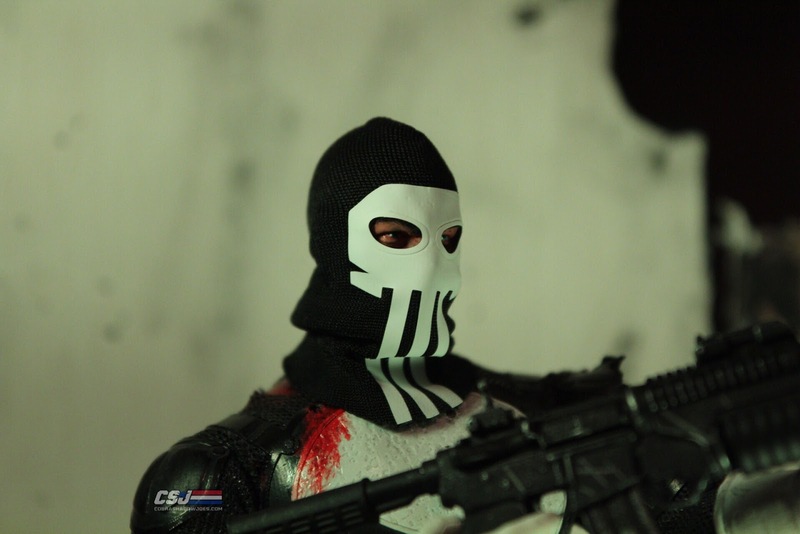 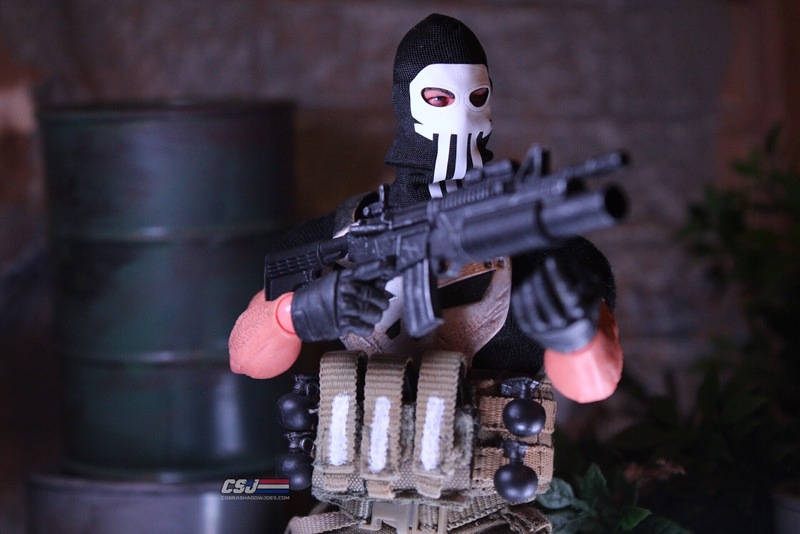 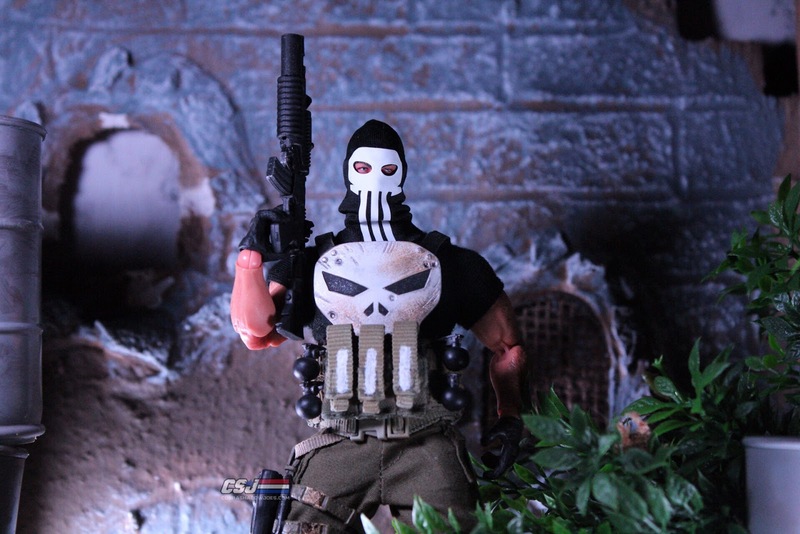 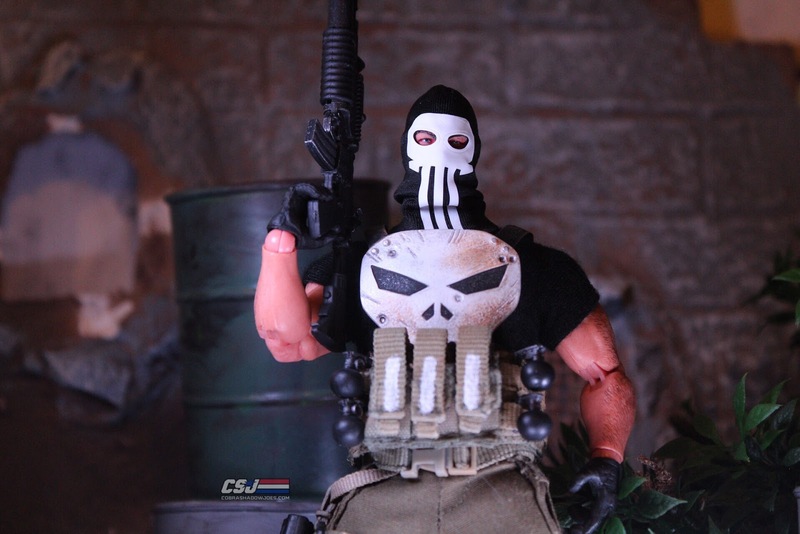 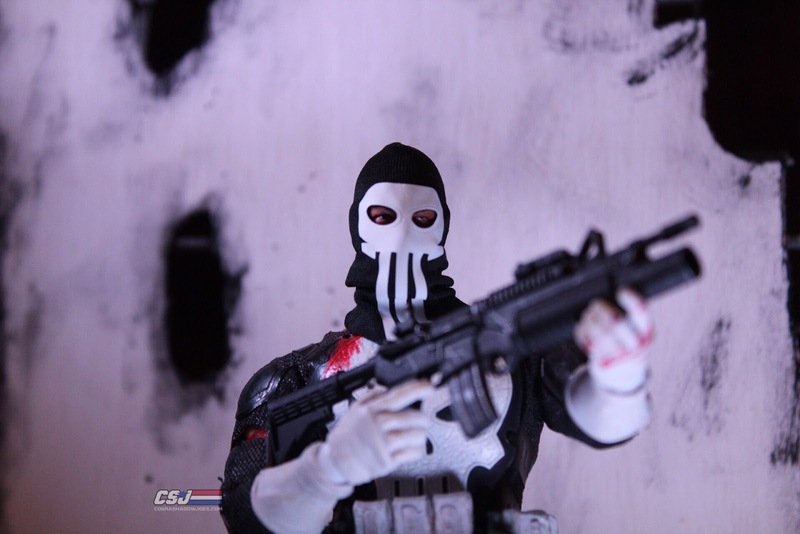 The sculpts are the same setup with the variance of white or red depending on your preference and look of the Punisher. 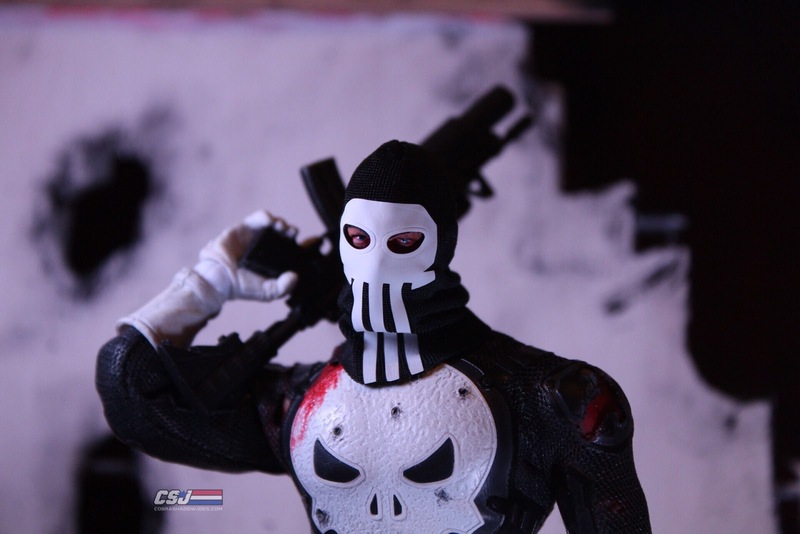 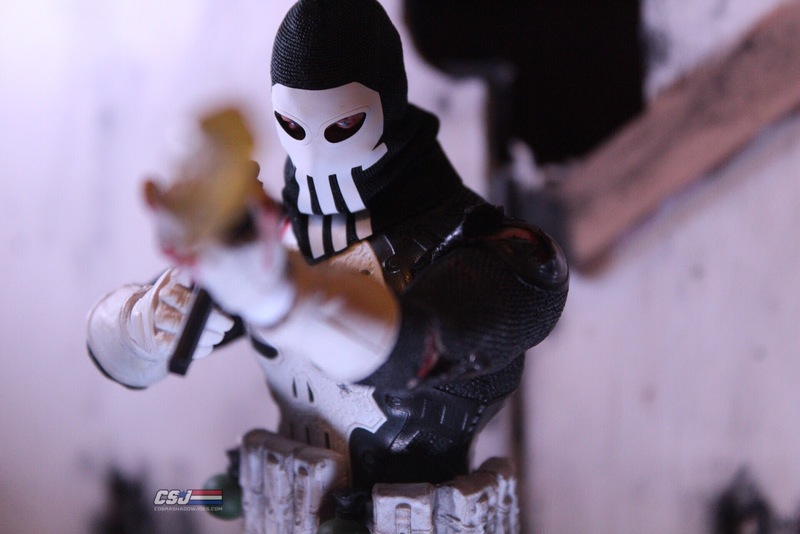 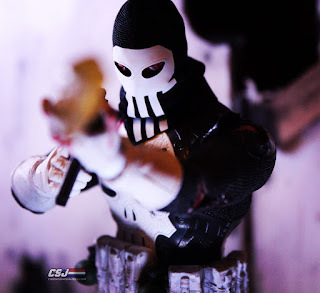 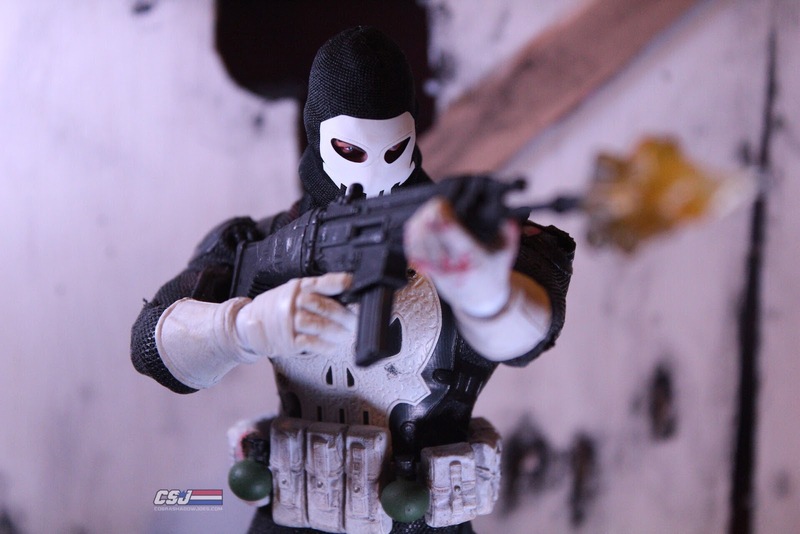 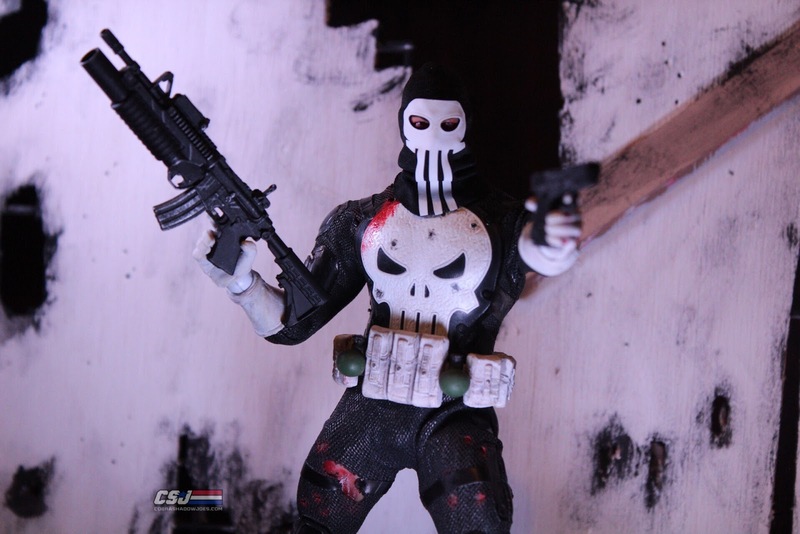 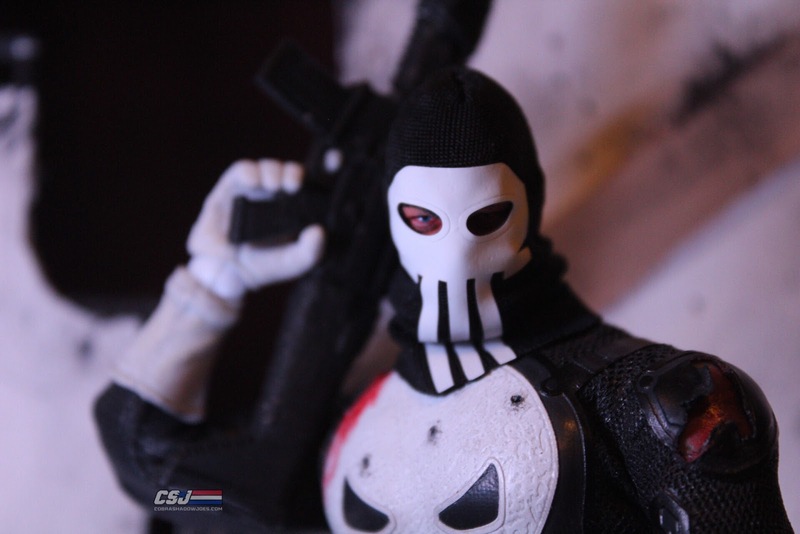 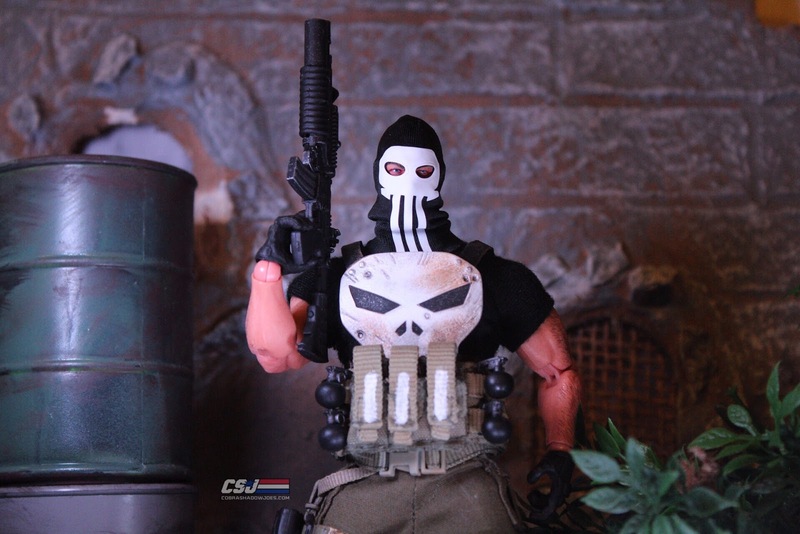 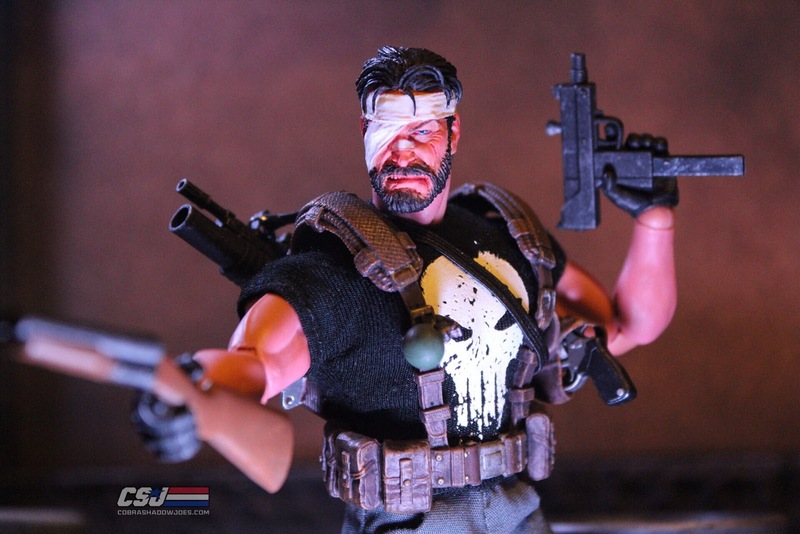 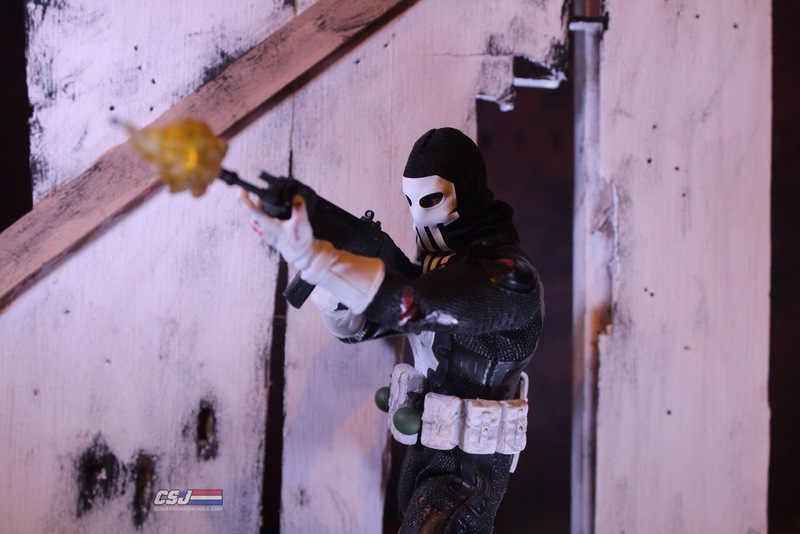 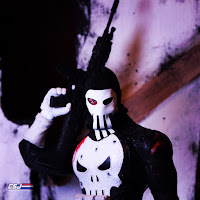 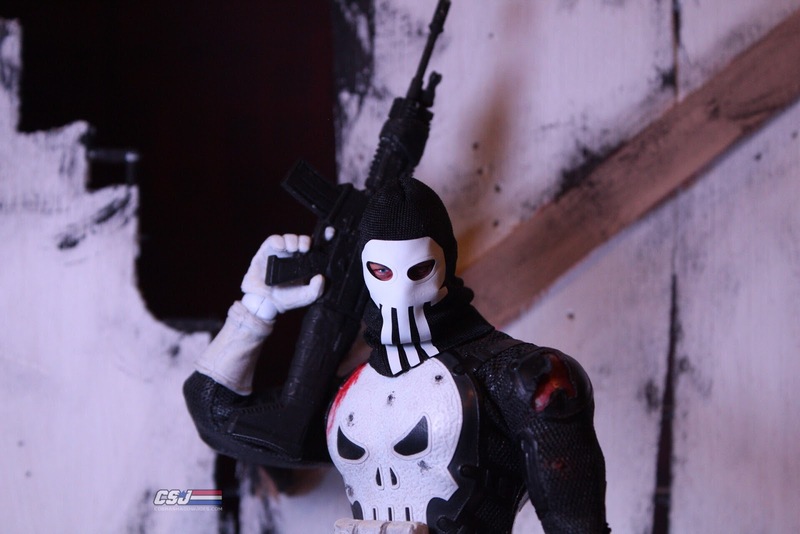 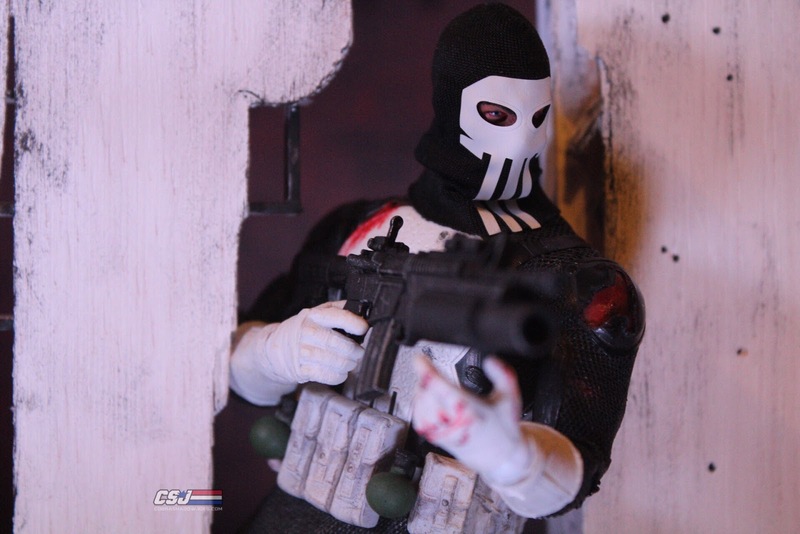 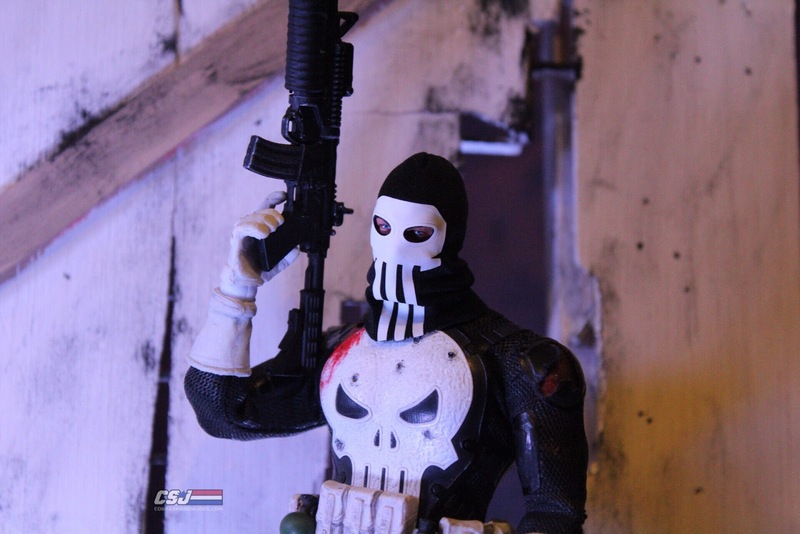 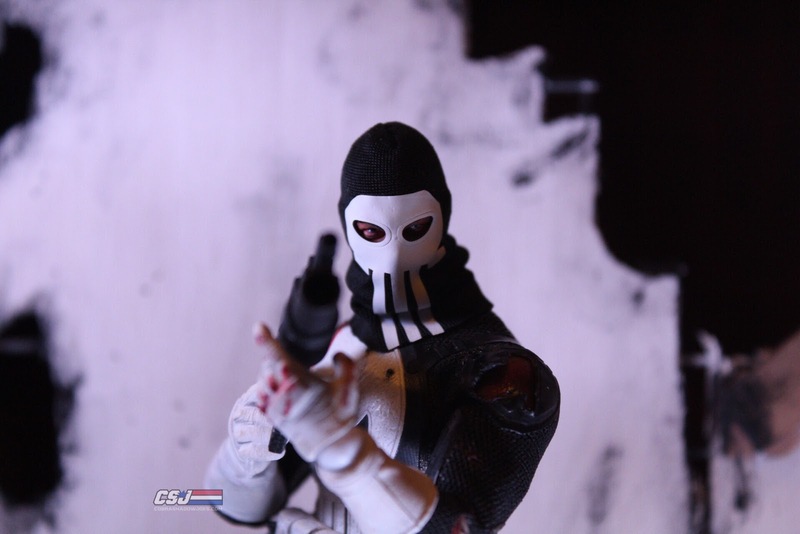 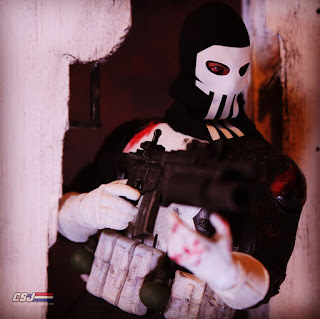 I used the white sculpt for a Nathan Edmondson comic Punisher look for more of the modern version comics/look that has been done. 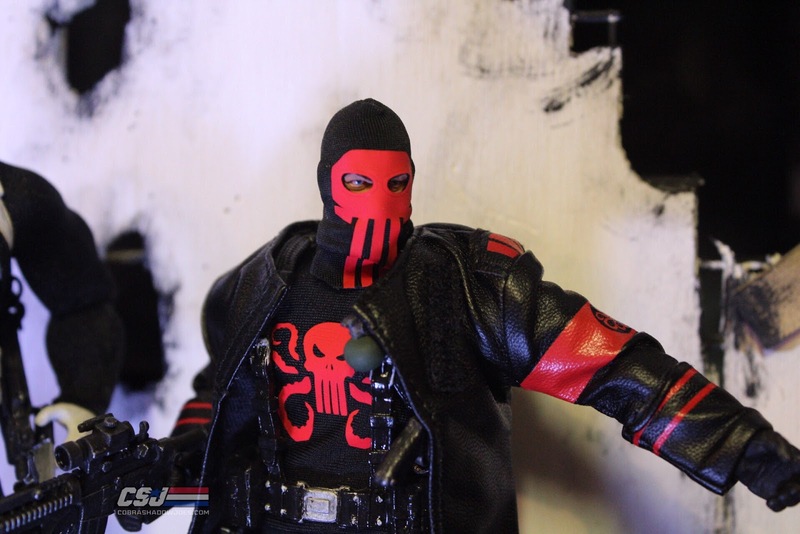 I was really impressed with the finished look and it couldn't be done without this mask. 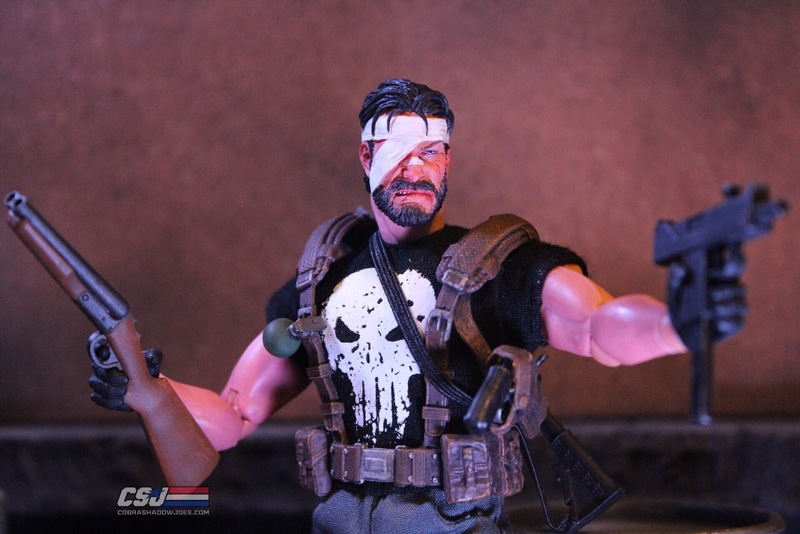 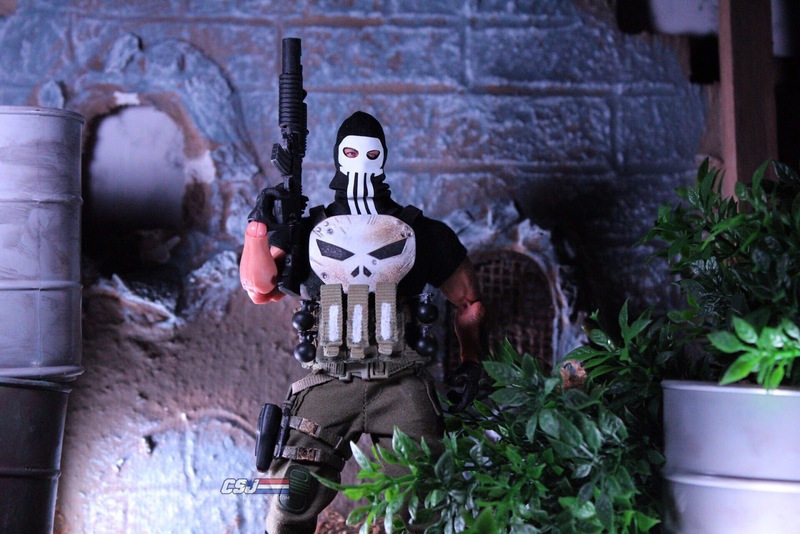 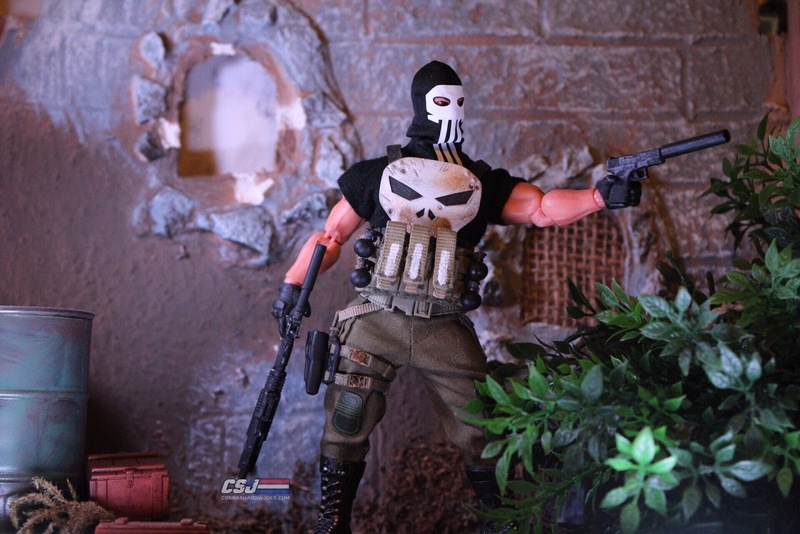 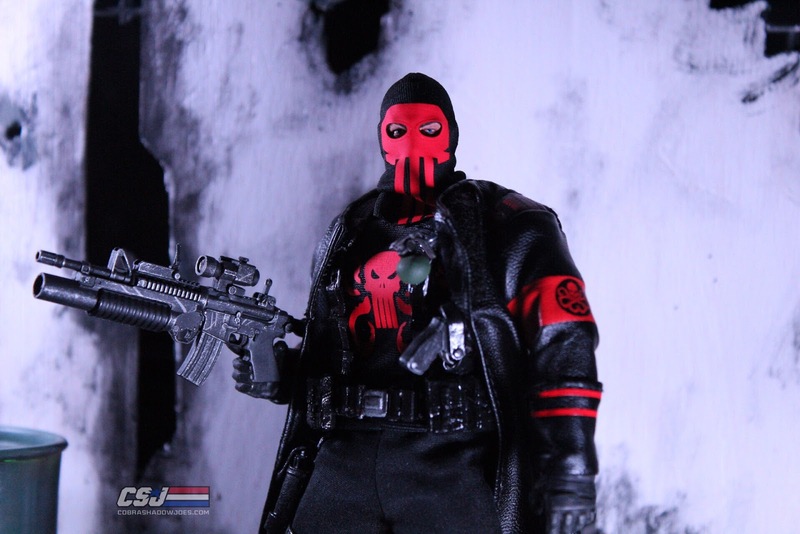 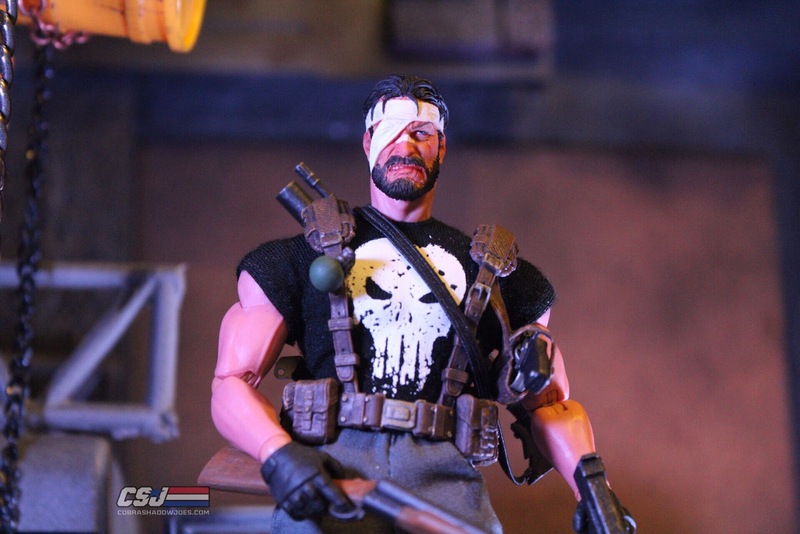 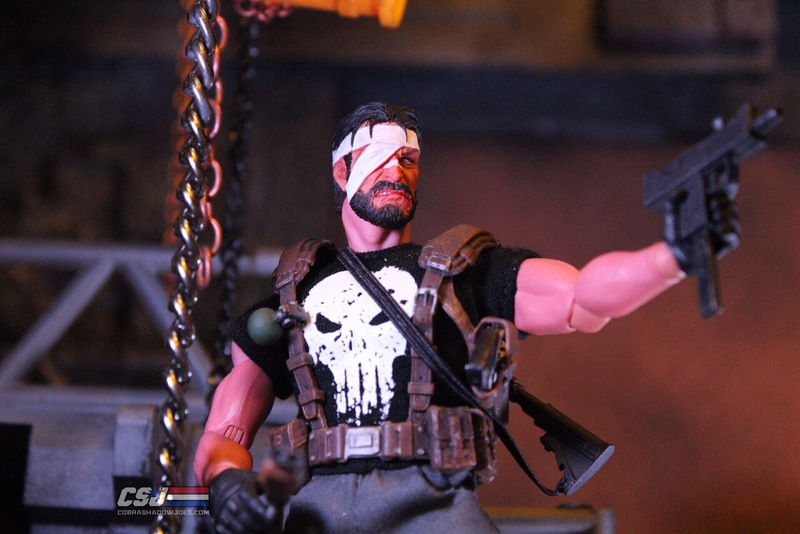 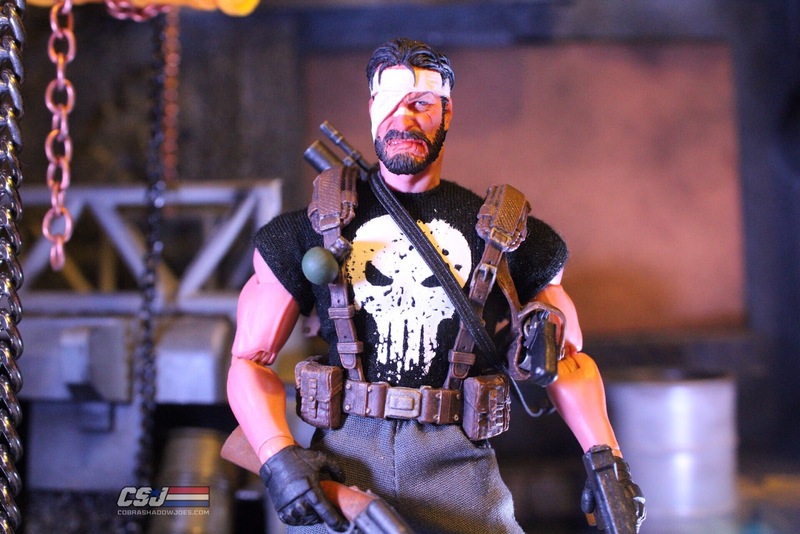 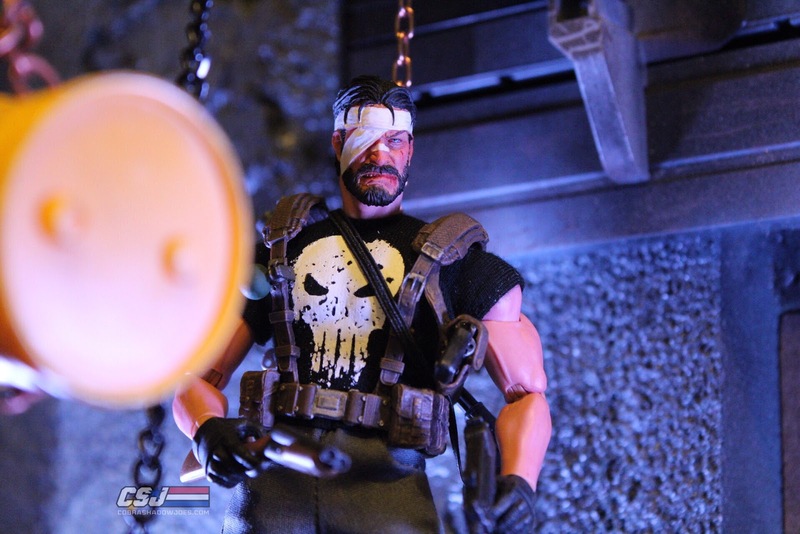 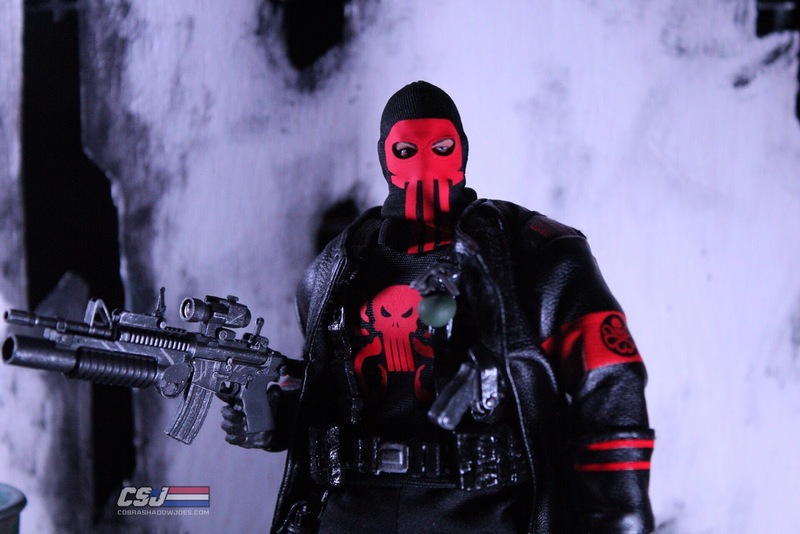 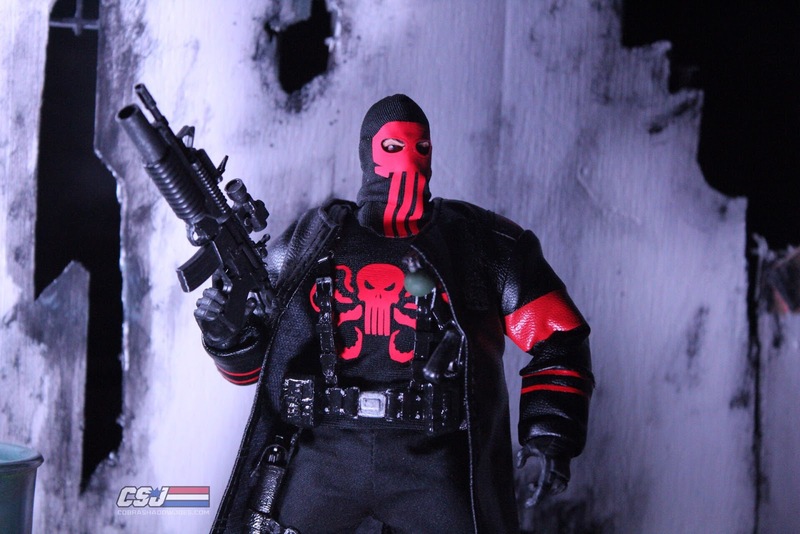 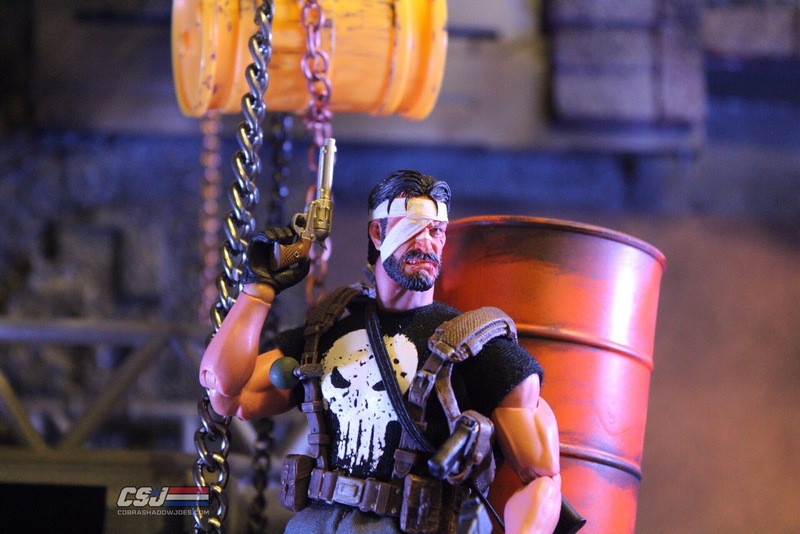 I used the red head sculpt to create a Hydra Punisher to go along with the Hydra shirt I purchased from Drone. 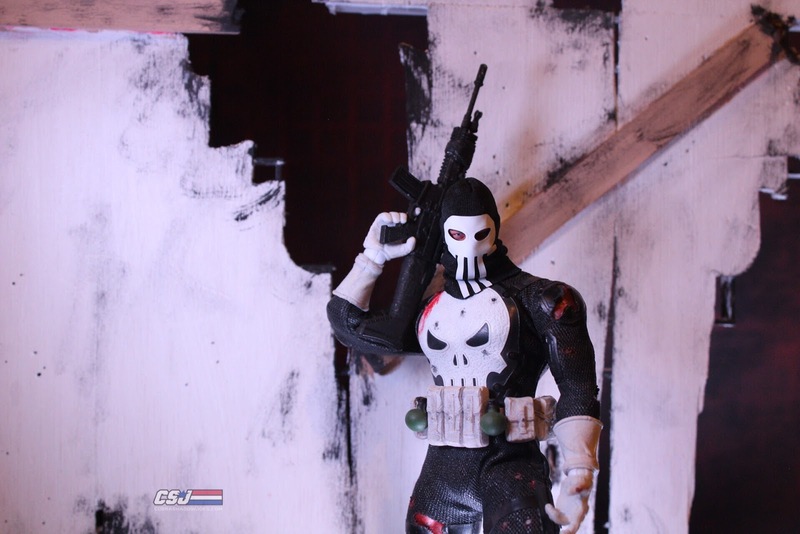 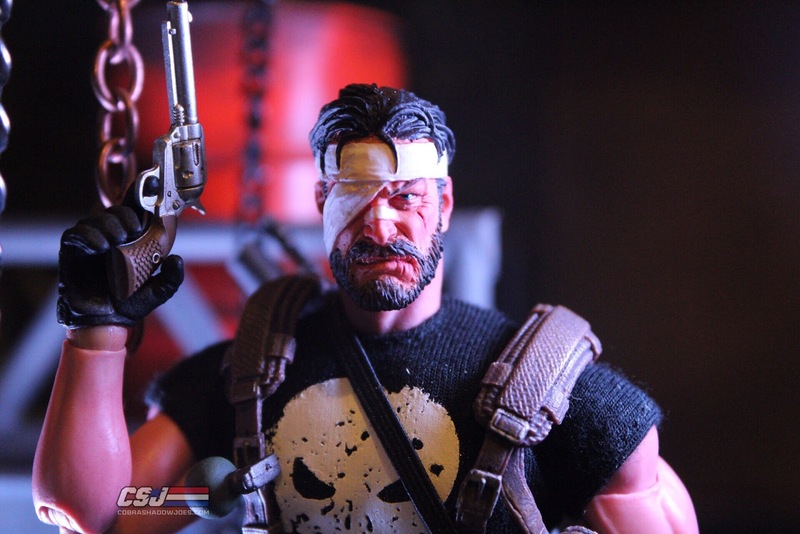 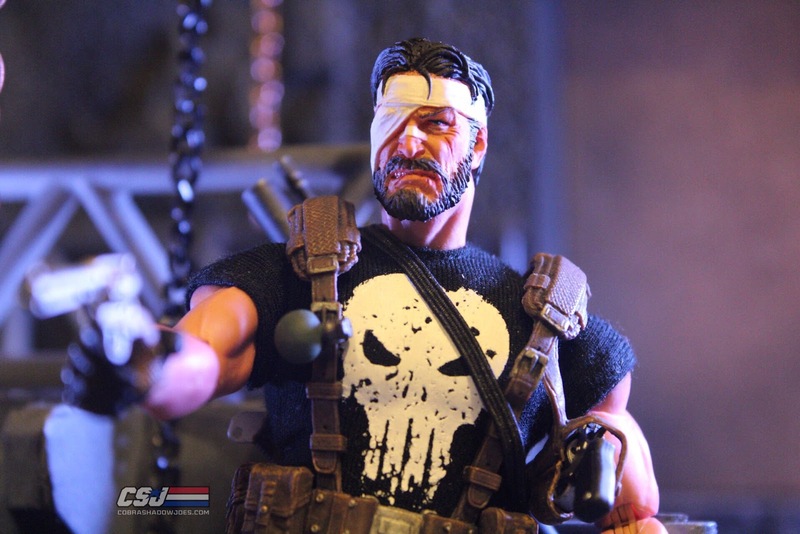 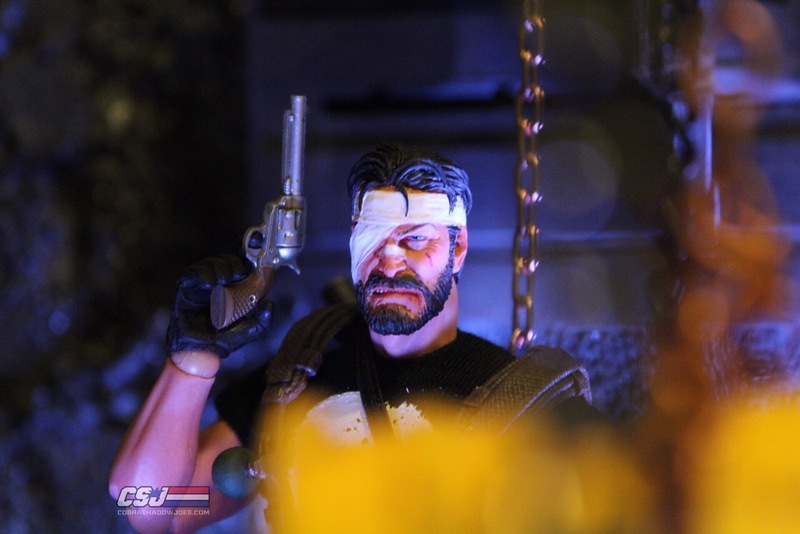 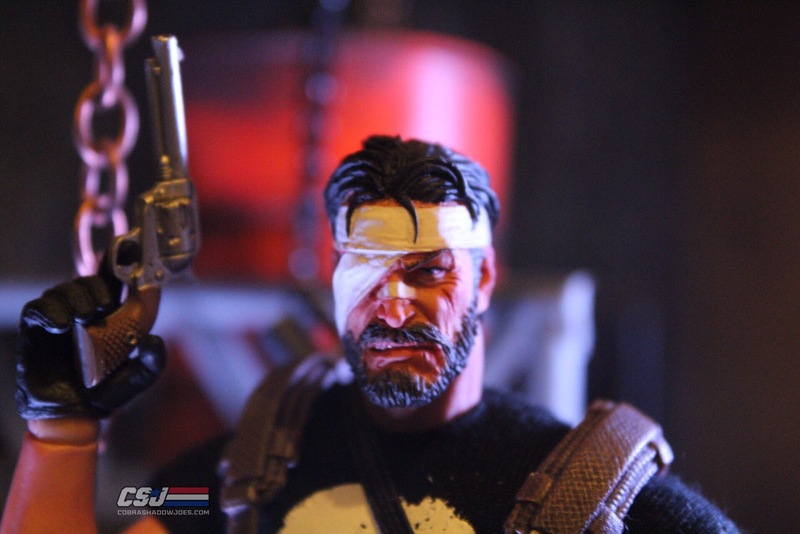 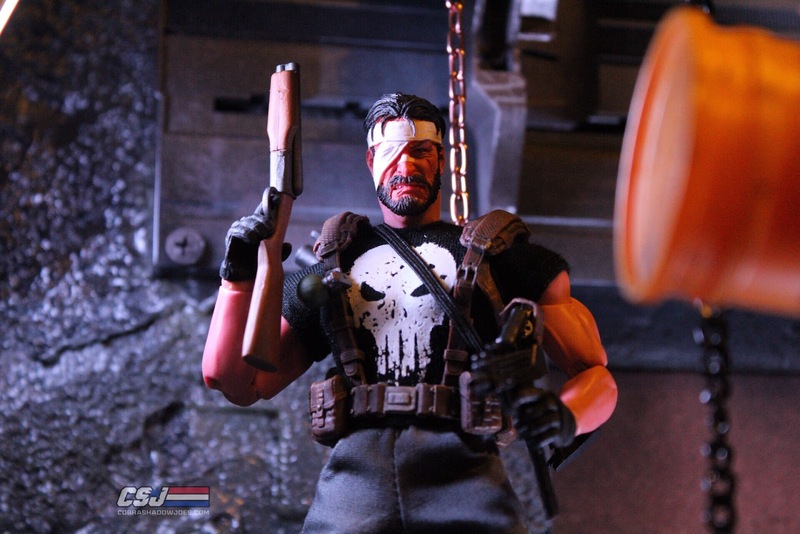 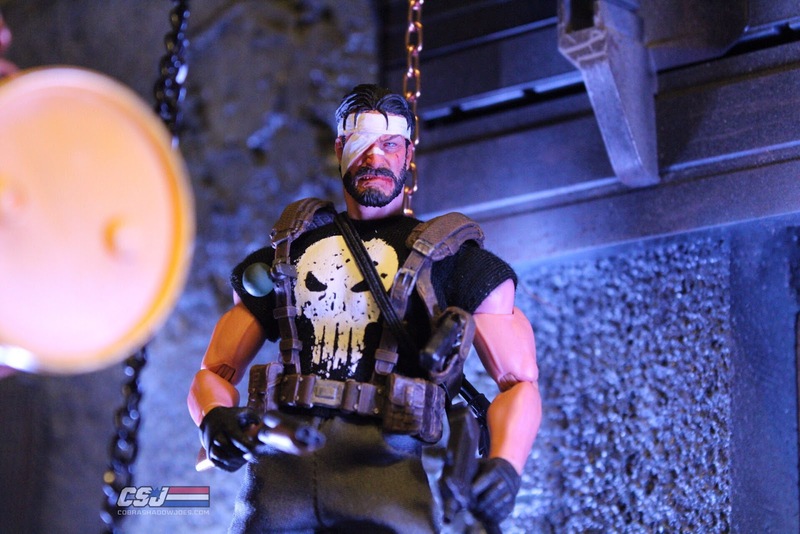 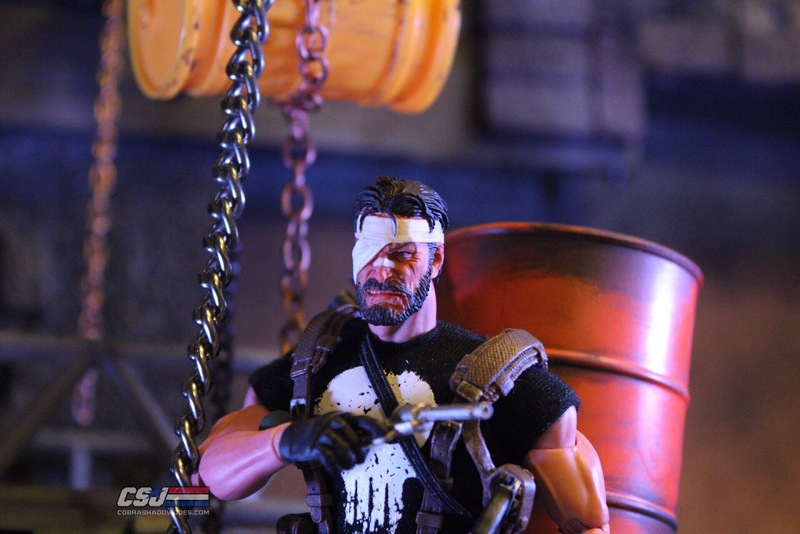 Lastly, the Metal Gear Frank head I put on a classic PX Punisher body with some added details to give him the rough look. 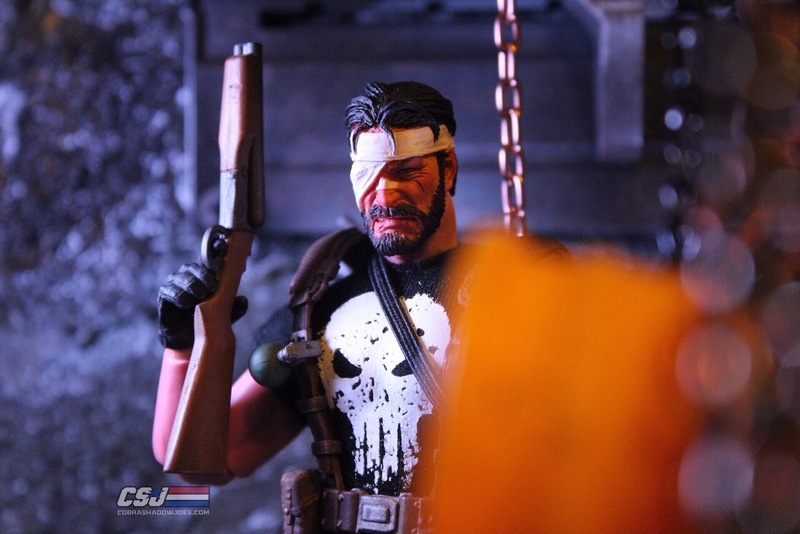 If you were to tell me to pick just one of these head sculpts I wouldn't be able to...they are all equally great! 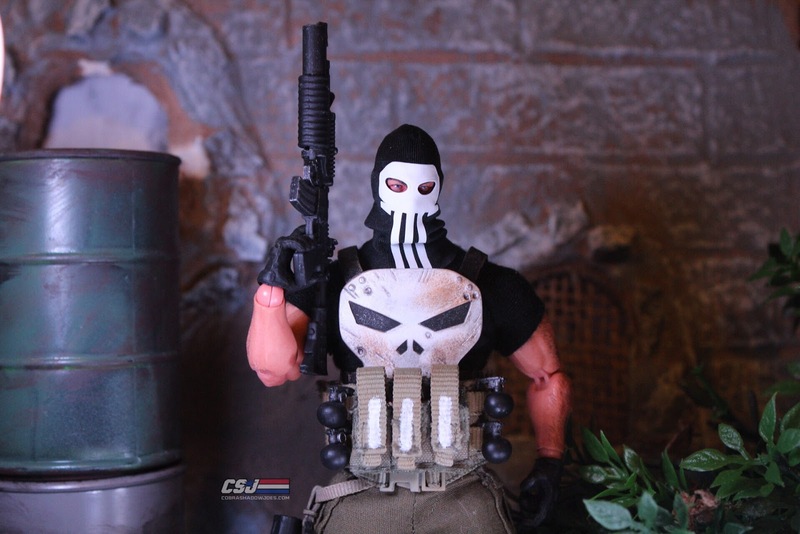 This time around Drone offered a lot of different Punisher shirts with different logos that you could order. 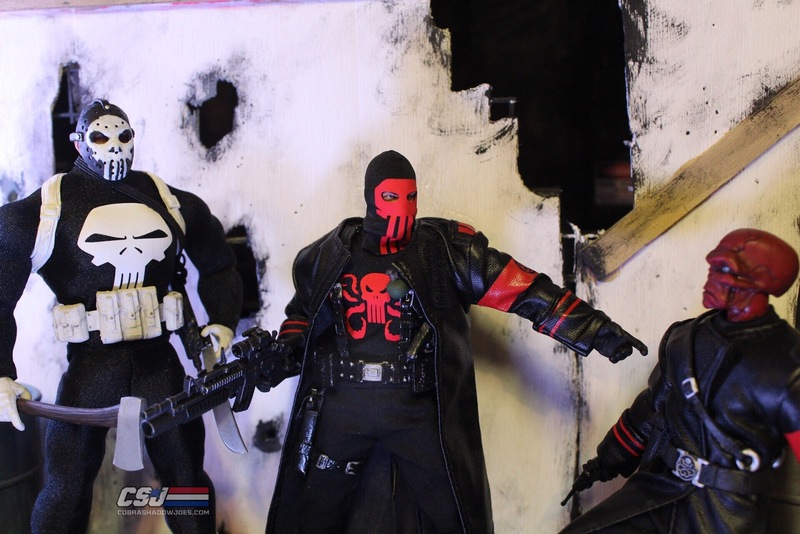 I decided to buy the black T-shirt with the red Hydra logo to complete my Hydra Punisher. 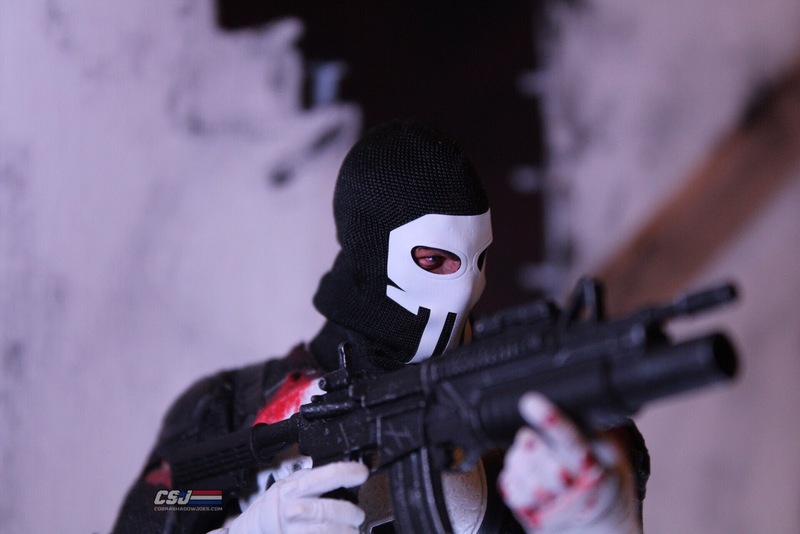 Drone really makes quality cloth material clothing that provide a perfect fit for your figures. 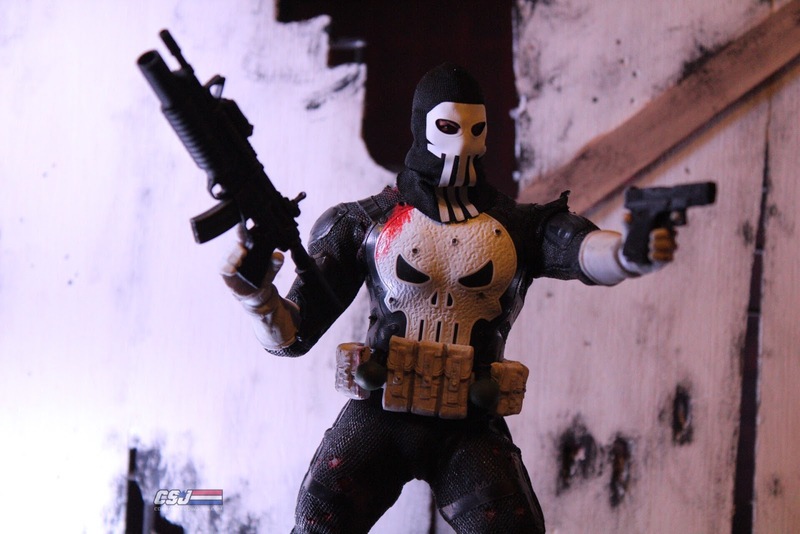 I am very happy with the final look of this figure, and I will be considering placing another order for future shirts and clothing from him. 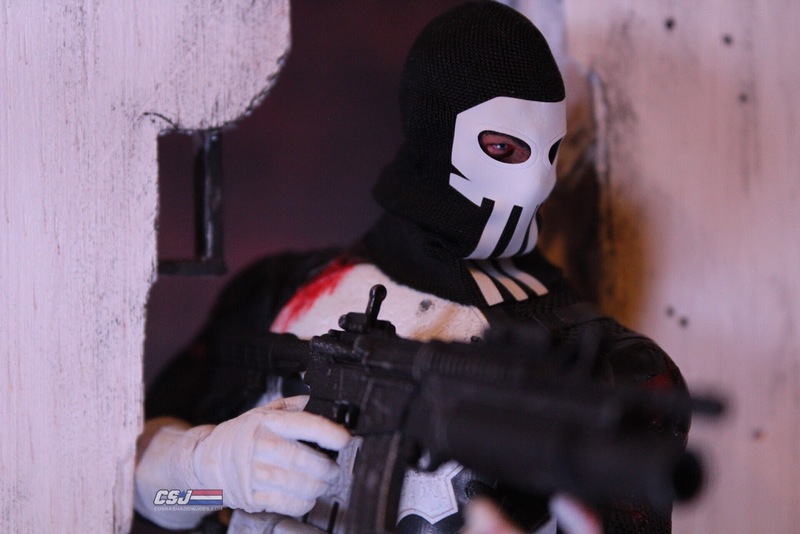 Drone provides us with quality products that are on the same level of what Mezco offers with their One:12 line. 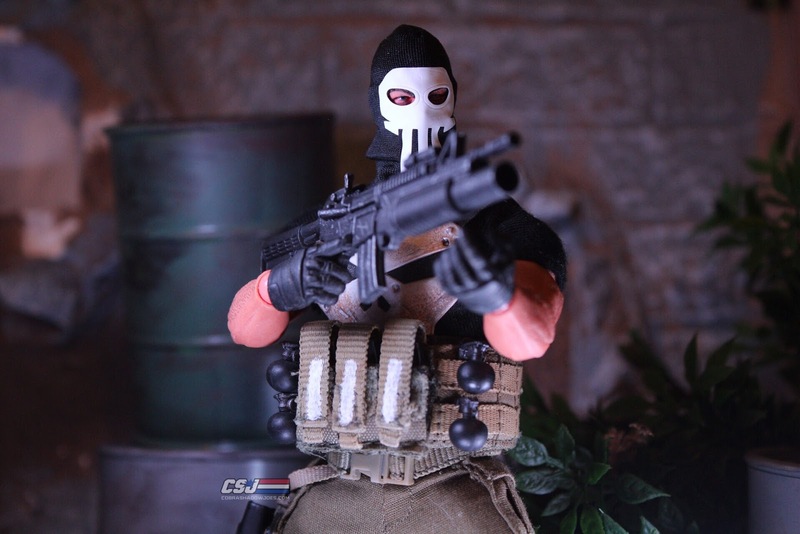 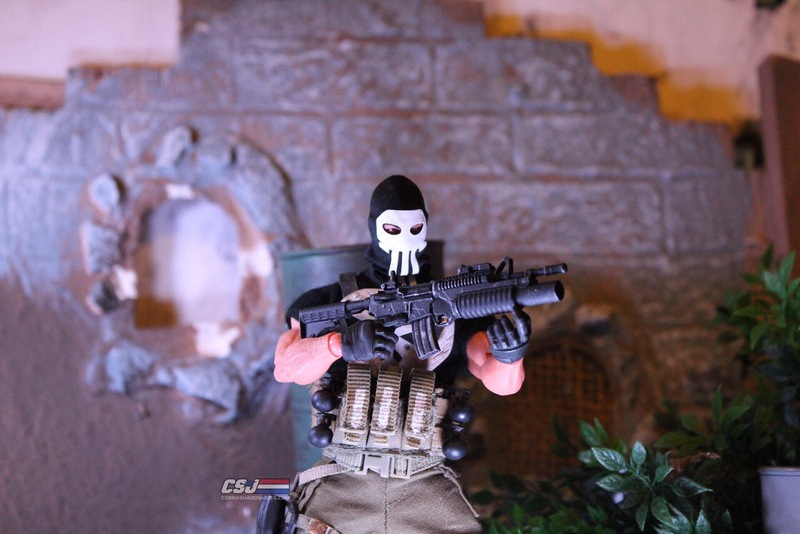 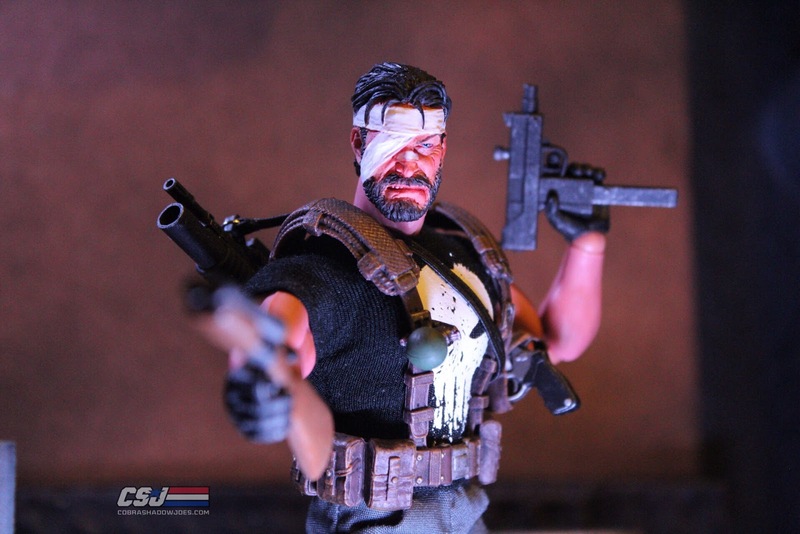 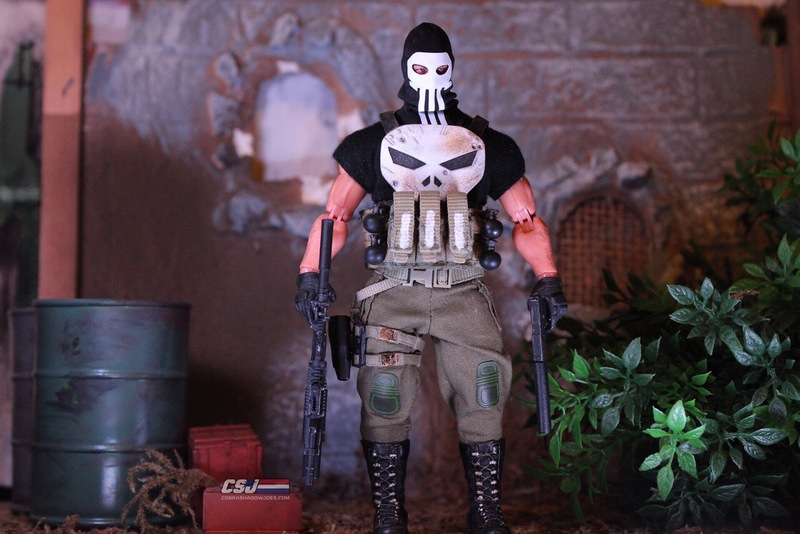 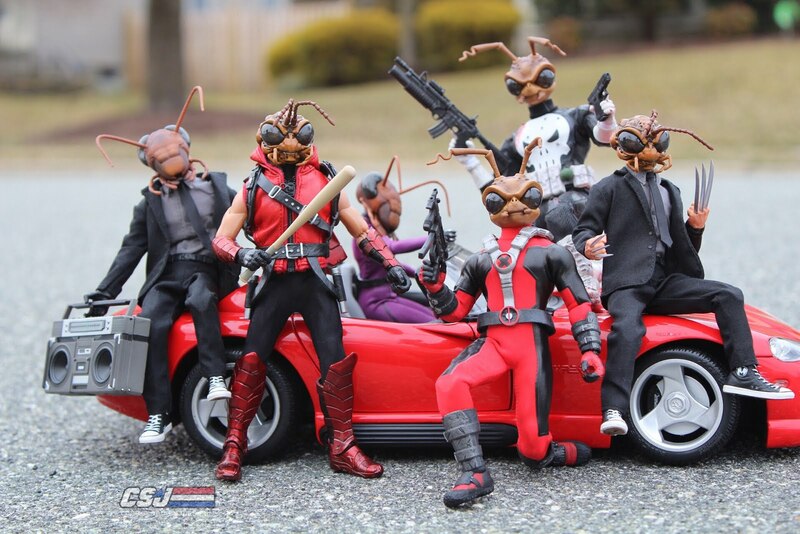 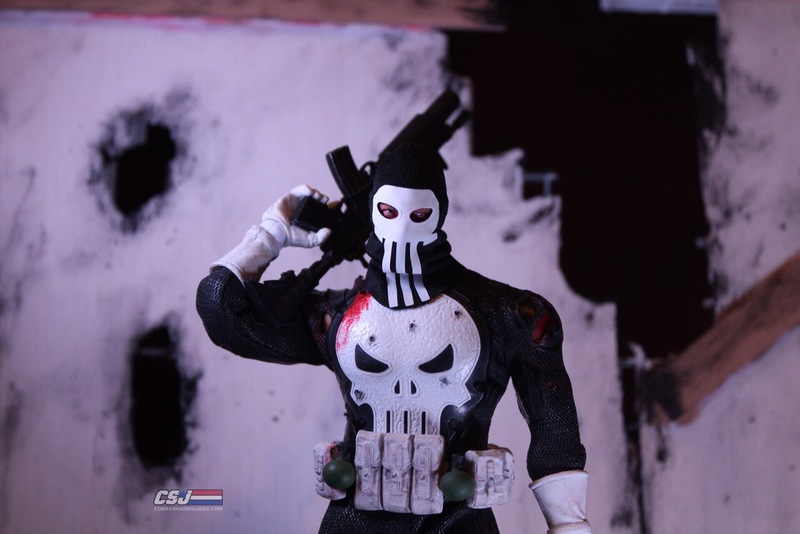 If you are looking to branch out into customs or add some unique looks to your already growing collection than Drone_Custom_Figures is your place to buy!